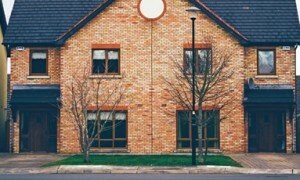 At Solicitors Title we specialise in dealing with nuisance law, especially noise problems. Nuisance can cover smell or even insect infestation but more often it’s a problem with noise. This may be from motorsport, within an industrial environment or just noisy neighbours. Noise can be a problem for all the parties involved in a dispute, sometimes it’s a by-product of lawful activity, other times it’s gratuitous and needs to be regulated. We provide advice to local authorities on how to draft appropriate regulations and to noisemakers who are accused of making too much. We can also advise individuals who suffer noise and who wish to take their complaint to court. We have acted for major motorsport tracks and smaller local operators who run motocross events. Usually there is a common thread which if dealt with early enough can avoid expensive court proceedings. Nuisance issues need to be dealt with swiftly in the event of the Council serving an Abatement Notice. If this happens to you then you have only 21 days to launch an appeal otherwise your rights have gone and you may be prosecuted and issued with a fine, which can be up to £20,000.00. So if you have a noise problem, contact us – an initial consultation to scope the problem is free. Just e-mail in a summary of your case and we will respond quickly and effectively, usually within 48 hours.